This picture pretty much sums up my current situation, as I have well over a dozen pens fully inked after the Atlanta Show, and I intend to write them all dry! Chicago Pen Show Recap. Check out Brad's review of the 2016 Chicago Pen Show over at the Pen Addict. The Chicago Pen Show had new promoters this year, who apparently did a really good job rejuvenating what used to be one of the largest pen shows in the country. Ranga Ebonite Pens. Both Ana at the Well-Appointed Desk and Matt from The Pen Habit have now reviewed Ranga fountain pens from India. Since I've gotten into eyedroppers, the idea of a large, high capacity ebonite eyedropper intrigues me. 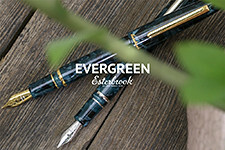 Ranga is collaborating with retailer Peyton Street Pens on some special editions, and PSP also offers ebonite pens fitted with vintage nibs. Pelikan Grand Place. 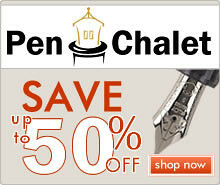 Azizah over at Gourmet Pens reviews the Pelikan M800 Grand Place special edition. I found this pen very attractive when I saw it in Atlanta, though I liked the Burnt Orange more (Montblanc Hemingway-envy and all). Interview with Mike Dudek. The Pencil Ladies over at C.W. 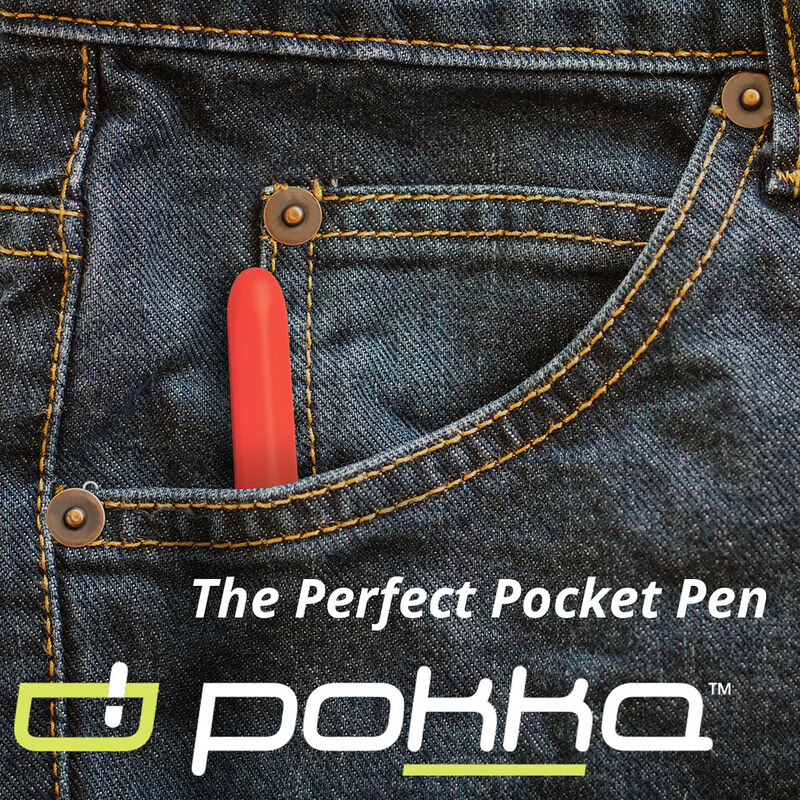 Pencil Enterprise interviewed Mike Dudek of Dudek Modern Goods and the Clicky Post. It's a great read where you can learn more about Mike. On the Joys and Travails of Thinking. This recent episode of the Art of Manliness Podcast is one that I feel like I have to recommend to you here, and not just because it guest-stars a renowed philosophy professor from my alma mater. There's a lot here on why it's important to make time in your life to read and write, as well as the benefits of having actual paper around you. One of my favorite parts is where Fr. Schall describes "that eerie feeling when you enter a house or office without any books or paper in sight." The Clicky Post is giving away a Retro 51 "Surfin'" Edition. Last day to enter! You have until the end of the day Arizona-time to enter. Details over at Mike's site. Site sponsor Pen Boutique is running a Mother's Day-themed giveaway for a Graf von Faber Castell Tamitio fountain pen, in pink. 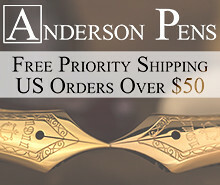 See the Pen Boutique website for details. Don't miss the chance to stock up on Sailor Yama Dori, and Shigure. 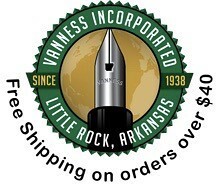 Massdrop is running a special on the Diamine 150th Anniversary inks, where you can save a few dollars per bottle. These are great inks. I especially love the Terracotta, which I have been running through my Pelikan M800 Burnt Orange. Huckberry is running a special on Appointed stationery, including notebooks and memo pads. 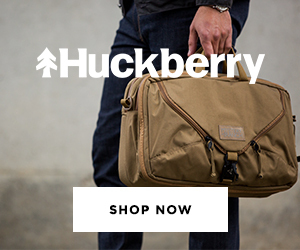 If you're not a member of Huckberry, I'd encourage you to sign up. 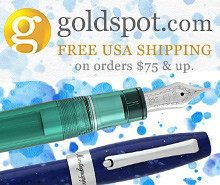 You can occasionally get really good deals on pens, including products from Karas Kustoms, Schon, Ti2 and Tactile Turn. (Not to mention great prices on bags from Filson, Topo Design, etc.) I believe you need to be a "member" to see the deals, though "membership" is free. Issue No. 3 of "Digital Divide" is live! Thanks to everyone who subscribes, and I'm overwhelmed with the support I've received. For those of you who are new to the site, Digital Divide is my monthly newsletter devoted to discussing the divide between the "digital" and "analog" parts of our lives, the benefits of making time for analog tools and workflows, and why people draw the line where they do. Issue 3 offers my thoughts on the current "handwriting debate", and provides links to some resources and articles of interest. 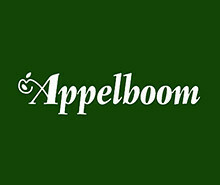 Also, please follow me over on Tumblr at BottledUp.ink (or simply visit from time-to-time), because that's where I've moved most of my ink reviews. I like the format of Tumblr and Instagram better for posting ink shots, etc. This week on the blog, I wrote about My Top Three Favorite Pen Brands (no, I won't spoil it for you here), I reviewed the Pilot Hi-Tec-C Coleto Multipen, and I welcomed Anderson Pens to the blog as an advertiser and sponsor! DISCLAIMER: This post contains affiliate links, through which I may be compensated a small amount if you purchase an item from any of the sites linked to in this article. While I'd greatly appreciate it if you use these links to purchase an item you are interested in, you are, of course, under no obligation to do so. Many thanks!